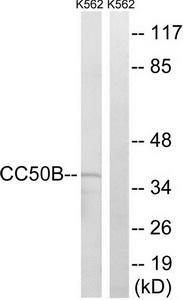 Western blot analysis of extracts from K562 cells, using TMEM30B Antibody. The lane on the right is treated with the synthesized peptide. 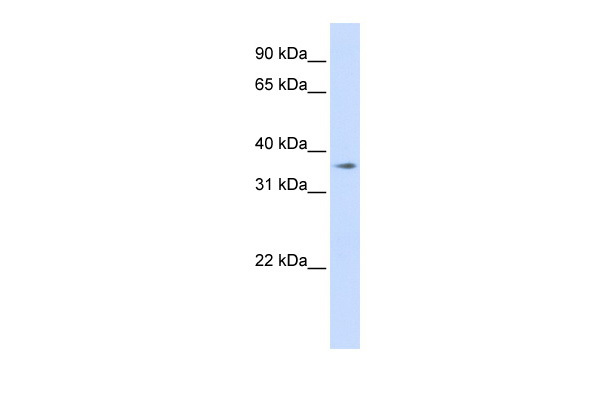 Western blot analysis of extracts from K562 cells, using TMEM30B antibody.The lane on the right is treated with the synthesized peptide.